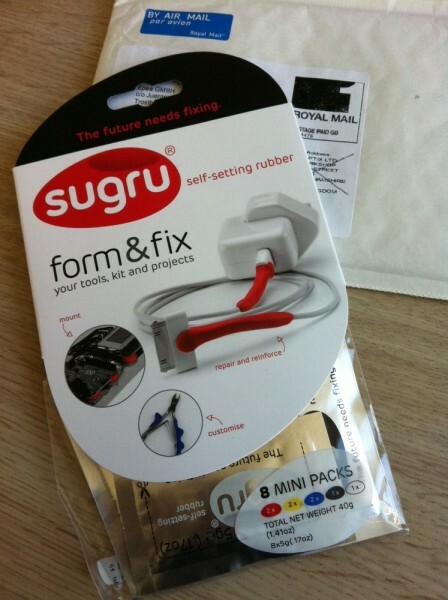 Sugru, the self adhesive bond. 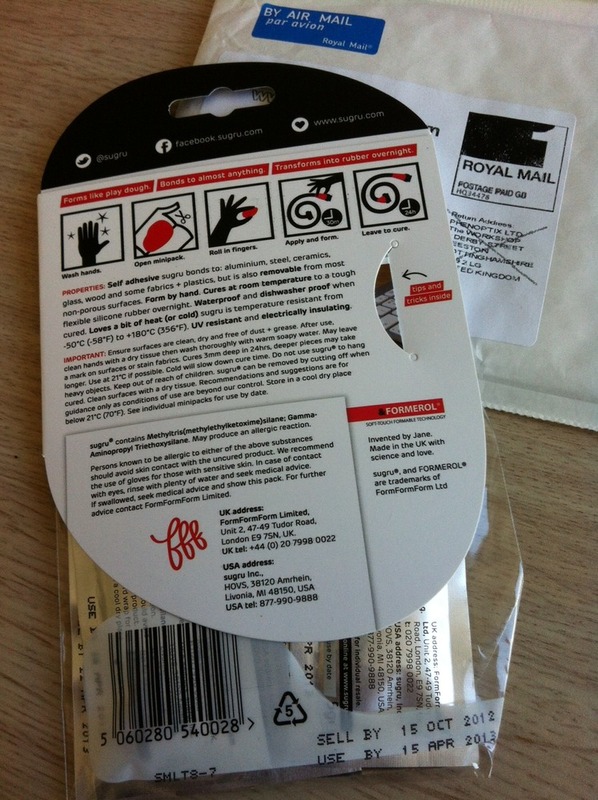 Ordered this via eBay from the UK. toxicity (I think), but it’s a great help nevertheless.